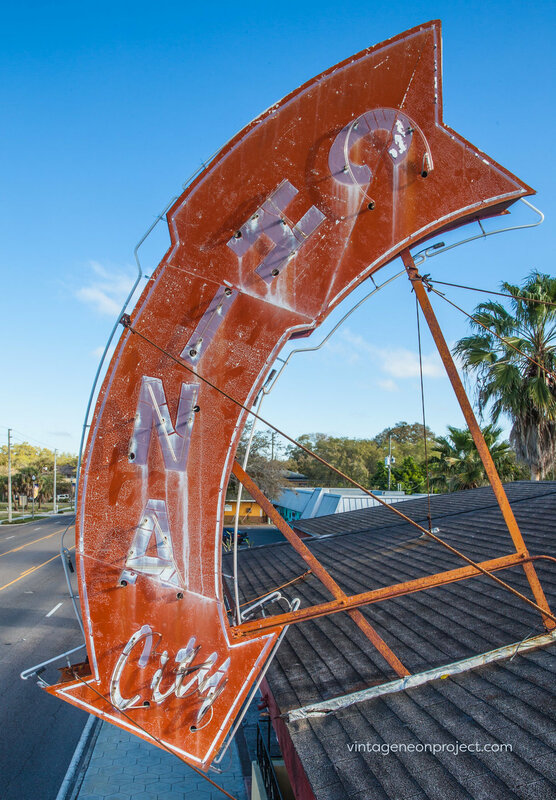 The city of St. Petersburg (Vintage Neon Project's home base) produced this document highlighting significant neon signs (past and present) in the area. It's an exhaustive list and well worth a look. VNP even got a special "thank you" in the document for helping with the effort. The China City sign in St. Petersburg has been removed. The restaurant has been closed for a while and the property sold. The owners of the restaurant are keeping the sign. This is a VNP favorite here in our community, it will be missed!